Experience 45 minute classes of interactive singing, movement, dancing, and joy with your child in a rich vibrant world music curriculum. 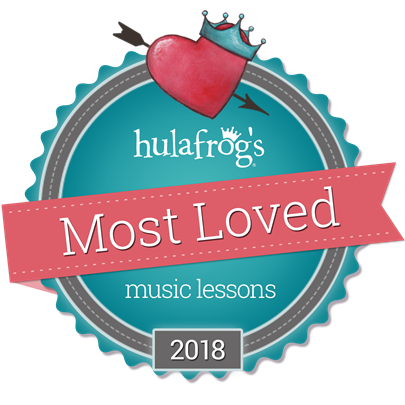 Each semester runs 8-10 weeks and allows families to take home beautifully recorded music with an accompanying songbook of fun ideas to use at home. Music Together® nurtures children's innate musical ability and allows you to connect, bond, and share in a fun environment. Unplug from your electronics, and plug into the full potential of your child by trying a free class today! 10 weeks of Playing, Learning, Dancing, and Singing! Check out our Class Schedule to see the times and locations that we will be offering the joy and bonding that can only come from a Music Together class for yourself! Check out the Family Music Zone! Check out the Family Music Zone for info. 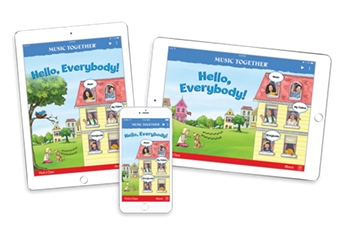 on how to download music onto your "Hello Everybody" App, songbook coloring pages, videos, and more! If you are a current or past Music Together family, we welcome you to join our Arizona Music Together Families Facebook Group. We share fun videos, musical moments, and arrange music/art-related meetups such as Pajama Parties, painting, caroling, and more! It's just another one of the amazing benefits of Music Together. Call us at 623-251-9083 or Email Us for more information!